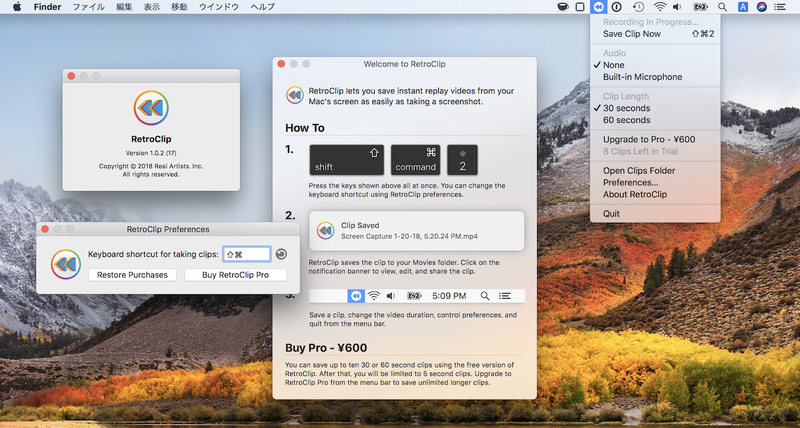 Nintendo Switchのように30秒前からMacのスクリーンキャプチャを保存できるアプリ「RetroClip」がリリース。 | AAPL Ch. Unlike other screen capture utilities for macOS, RetroClip does not save to an ever growing scratch file on disk as it is recording. Instead, it saves video frames to a fixed size circular buffer in main memory. The neat thing is, we don’t even need that much memory to do a good job. We can fit 30 seconds of HD video in around 40MB of memory.